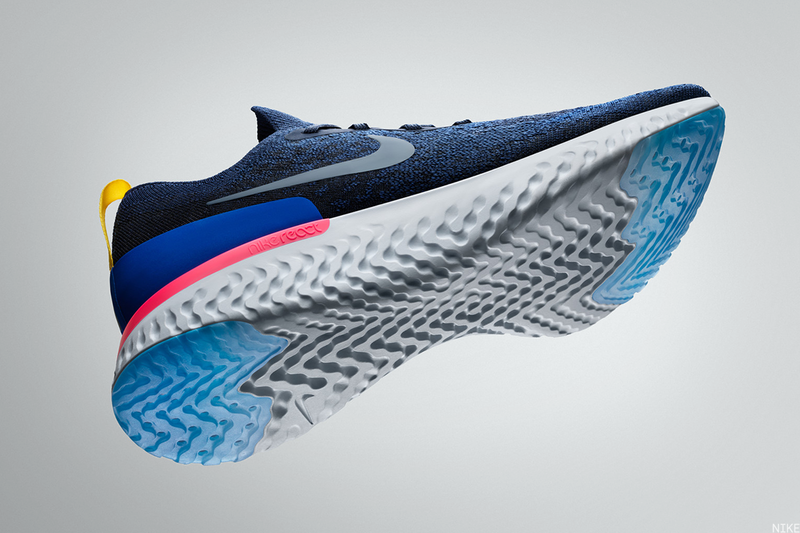 The new Nike Epic React, unveiled on Tuesday, Jan. 23, features in-house tech that allows for speedier production. Nike Inc.'s (NKE - Get Report) big return to form this year will have you walking — or rather running — on air. 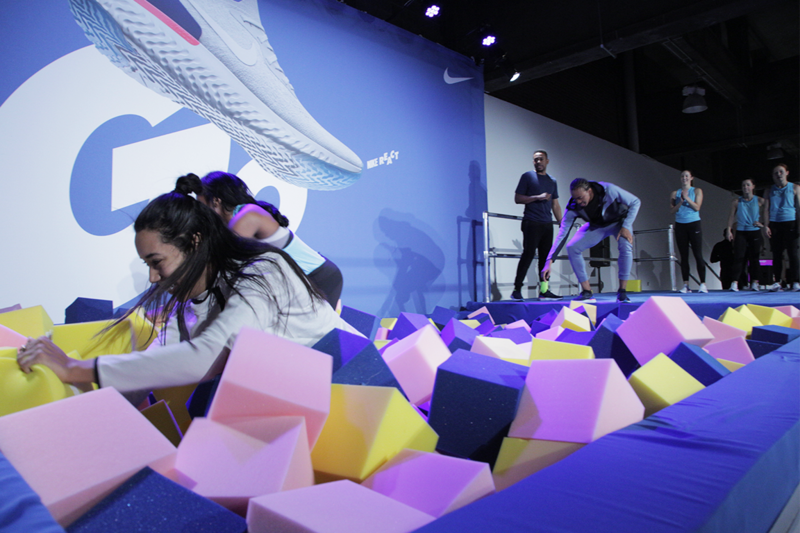 The sneaker maker on Tuesday, Jan. 23, unveiled its latest running shoe, the Nike Epic React, which features a proprietary foam technology for the sole as well as its signature Flyknit for the upper. Nike shares on Tuesday afternoon were up 1.2% to $67.15 and are up 7.4% in 2018. The thick foam, made up of synthetic rubber, is designed for durability and responsiveness to impact. "We call this Nike's most complete foam," Brett Holts, the company's vice president of running footwear, told TheStreet. "We feel like it gives us an edge over everything else that's in the market right now." That asserted edge might come in handy this year. Nike posted a whopping 5% decline in North American sales in its second quarter, ended Nov. 30 — including a 7% dip in footwear. The drop in revenue was offset by double-digit gains in Europe and Asia. The React, in particular, will take on Adidas AG and its running line, Boost. But React's most important element isn't the shoe itself but how it was made. Its proprietary technology — meaning it was made by and for Nike — will allow the shoe to hit shelves faster than ever. "Because it's made in house, we basically control everything. How quickly we can fill demand helps with our push to innovate with a sense of speed and precision," Holts said. In other words, the shoe is a manifestation of Nike's ambitious production goals, in which the company aims to cut its product design and manufacturing process in half, to under six months. "We focus a lot of attention on manufacturing," COO Eric Sprunk said during Nike's investor day in October, when it announced its new production goals. "We're in the early stages of major shifts in our supply chain." Another factor that seems ready to boost the React: The shoe is beautiful. See for yourself. On Tuesday morning, TheStreet joined a group of other lucky fans to test out the Epic Reacts. We split into teams to partake in a series of competitive games, including a foam pit relay and a trampoline challenge. The teams were joined by five professional athletes, including Olympic gold medalist track and field athletes Aries Merritt and Matthew Centrowitz, WNBA star Stefanie Dolson of the Chicago Sky and four-time Olympic gold medalist Sanya Richards-Ross. As for my team, I was grouped with gymnast Laurie Hernandez, a member of the U.S. team that won gold at the 2016 Summer Olympics in Rio. After about 30 minutes of a mostly cardio workout that I did not anticipate on my way to work, our team was a little disheartened to learn that we were the runner-ups in the competition. But all in the name of sportsmanship, right? Hernandez, at 17, did not have investment advice for TheStreet's readers. But the Olympic champion did dole out one bit of wisdom. "If there's a choice, go with the route that you're most passionate about. It might have more curves, but it'll get you ahead in the end," she said. For Nike, that adage would certainly be ideal. The foam of React, by the way, took more than three years to develop.